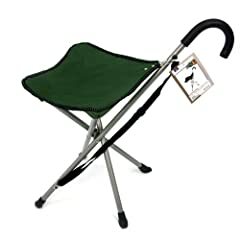 und of golf, at the zoo or anywhere you require a lightweight and sturdy portable seat to rest your feet and perhaps provide some assistance while walking. If you travel and will be in a line-up at any time then you will love these. 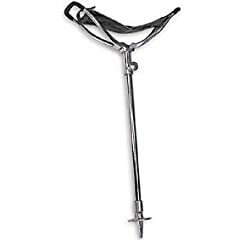 A walking stick is especially appreciated by seniors, and these instant seats and canes come in varied styles which are listed on this page. 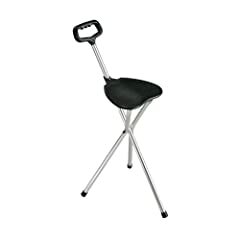 Travel anywhere knowing you have one of these portable seats with you. 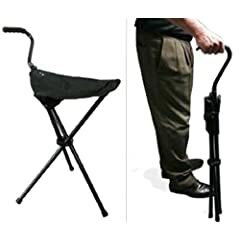 A walking seat and cane in one which makes them very useful if you have difficulty walking, during travel, in lines or events where a short rest is appreciated.Lightweight and sturdy depending on model they can support up to 250 pounds and the last style 225 pounds. 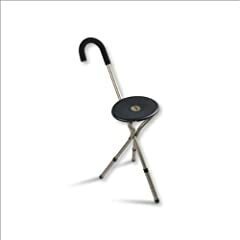 The handles on these collapsible walking stick seats make them very easy to transport. They also feature a reasonably sized place to sit in comfort. Check them out to make your life more comfortable.